The first time I tried this pose (keyword: tried) I was in yoga teacher training in Thailand. I remember we were doing a photoshoot because one of the other students had a fantastic camera and we wanted pictures for our websites. 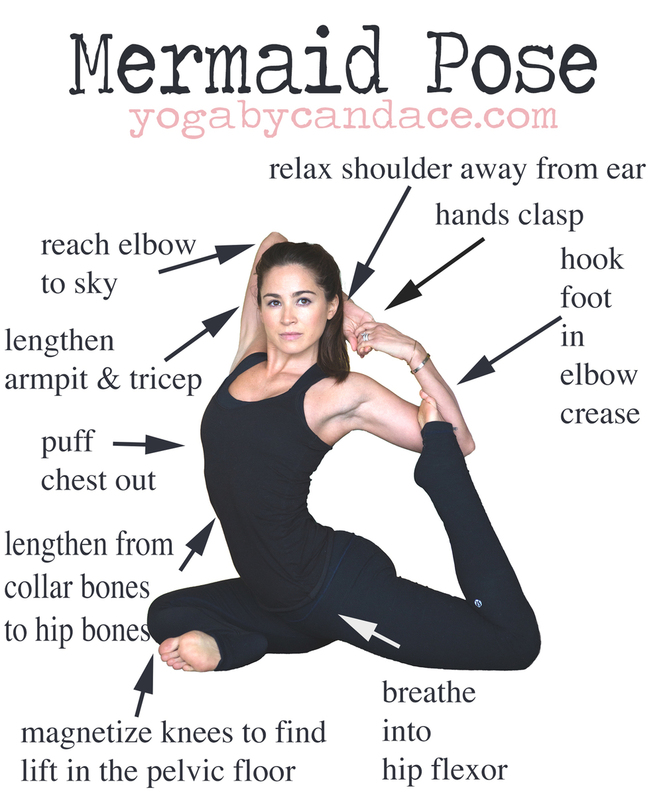 I began in pigeon pose, which is how you start, and then tried to lift the back leg and my knee wouldn't even come to 90 degrees. I'll have to find that picture and show you. Anyway, the beauty of this pose, for me, is what I've learned and how much my practice has grown in the time that's passed. I recommend warming up with this video before jumping into it, because it is really intense for the hip flexor. and front body. Always move within a pain-free range, and listen to your body. Let me know how it goes for you!